One last album for this month. A sumptuous set of bruised chamber soul built around the swooning vibrato of Ken Griffin and the perfectly judged brass, wind and string arrangements of John Rauchenberger. Sad songs, songs of loss and regret but with a great dignity, some kind of bearing about them which is warm and welcoming. The late night sound of New York, as it appears to us who do not live there. A wonderful archive compilation of this Canadian group’s output from the early 1970s. There’s an ecstatic quality to tracks like ‘Aurora spinray’ and ‘Tilicum’, a great kosmische bounce that borders on Eden Ahbez-like exotica in places, in others approaching the blissful pastoral haze of Cluster. Elsewhere you’ll find the gorgeous stretched out electronic jazz trails of ‘Hollywood dream trip’. All round a thoroughly fantastic slice of the 70s underground (although unexpectedly accessible) and a great piece of work by RVNG Intl. This is about the last thing you would expect from an artist renowned for banjo playing and Appalachian folk tunes. 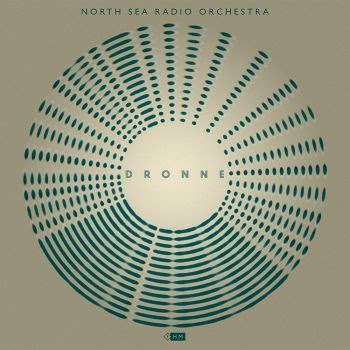 It’s a solo piano piece consisting of a core unchanging 6-note pattern – fast, repeating – while around it staccato bursts of notes drift in and out of phase creating a hypnotic interlocking whole. It’s the kind of minimalist phasing exercise you might associate with Messers Glass or Reich. It lasts about 3 minutes but it feels much longer...in a good way. In the sense that you feel like you’ve been through something significant. Something worthwhile. And something, if you’re anything like me, you feel you need to listen to again immediately to figure out what just happened. It’s not exactly clear what it’s doing on an album of mostly banjo tunes, mysterious and tantalising as they are. But then again, why question when beauty arrives. Let’s just treat it as an absorbing, intriguing puzzle. Two bands from down under who burst through in the 1980s to start the show. The Moles have a new album out, it's great. From The Chills we heard from their 1986 album on Flying Nun, Kaleidoscope world, their album last year was a brilliant and thoroughly authentic update on the 1980s sound. The singular sound of Xylouris White who play Cork in October as part of the Jazz Festival (my kind of jazz). 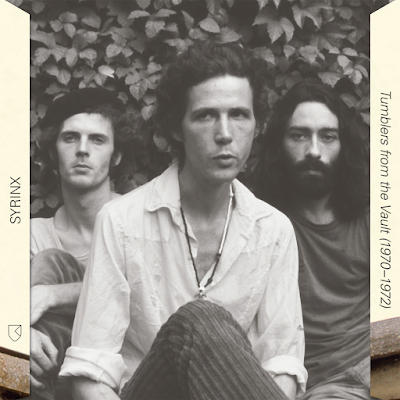 Syrinx, the kosmische sound of the Toronto early 70s underground, a beautiful thing. Nathan Bowles, making banjo swing and swoon. And Barry McCormack, the ex Jubilee Allstars man has a new album out, a rollicking folk rock set with a scathing eye on his home city of Dublin. Like The Fall, always the same, always different. There’s a gorgeous Byrdsian flow to this single from the San Francisco band’s third album, the wonderful Animal races. The vocals and guitars unfurl in unhurried fashion, culminating in some glorious steel guitar work. It chimes and rings like (probably) only a Californian band truly can and the arrangement is all the more affecting for the counterpoint against the lyrical discussion of death and mortality. It is roots music brought into contact with something very groovy. A piece of class is what it is. The swoon of ‘Queen of all the day and night’, the cosmic twinkle of the title track, the plain straightforward beauty of ‘Alsace Lorraine’. We had a good deal of instrumental music in this week, another 2 hour stint. David Pajo is reportedly releasing new music soon, great to hear something from his 1999 masterpiece Live from a Shark Cage. Some great soundtrack pieces from Mary Lattimore & Jeff Zeigler and also Nick Cave & Warren Ellis. Fixity with dark and enigmatic improv work. Elias Krantz with wonderful propulsive rhythms. And as near instrumental as makes no difference from Syrinx, great kosmische feel. Plenty of people touring - TAU at Liverpool Psych Fest, The Goon Sax in the UK, Rats on Rafts in Ireland, Pascal Pinon, C Duncan, The Lemon Twigs. This is the Angel Olsen record I was waiting for. There’s a lovely garage rock feel to the guitars, a setting that works very well with her voice. It’s a wonderful voice of course. It can be tender, it can be harsh, soft, berating, pleading, encouraging. Soulful needless to say, capable of turning the direction of a line with some crucial inflection or a change of gear. Usually simmering with intent and always laden with emotion. Brigid Mae Power is on tour this week, see her at Sirius Arts Centre in Cobh at the weekend, hear her here winding a magical extended drone. A new album by The Moles, wonderful news and wonderful tunes. 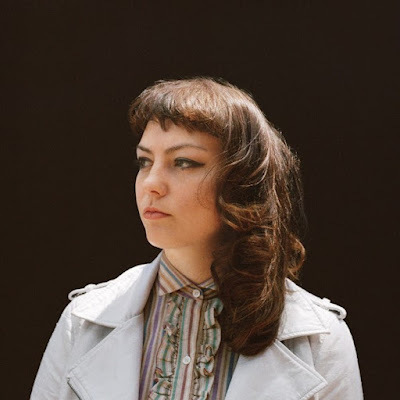 Angel Olsen sounding firmly in control of her own destiny and yet somehow endearingly vulnerable. 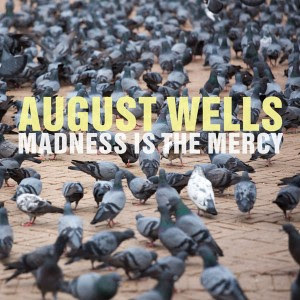 August Wells, album out now in FIFA, great songs, great arrangements, say no more. More on these pages. There's also some older treasures from Luna, Television, Stars of the Lid, The Unthanks and of course Gene Wilder RIP. More on these pages.